Adventure games is a very interesting. In them play both adults and children. In this section you will find small on the size, but very interesting adventure games new and old which I could find. For free download games in each page press download link. If know where to find still - write! The"Tree of Life" is dying and the Seasons - Spring, Summer, Fall& Winter - are under eternal threat. Darkness is coming and he is taking over and engulfing all that is good in the world. To save the world and everything you cherish you must travel across a mystical landscape, solve fantastical puzzles and journey to the very heart of the Tree of Life. 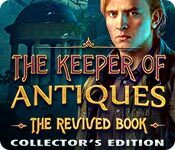 Once there you must solve the riddle of eternal Darkness and banish him forever in this beautifully crafted Hidden Object Puzzle Adventure game. Game Aladino. It is game in three-dimensional variant. Here you will be, operating the hero to search and collect various useful subjects to battle to opponents etc. To operate it is possible from the keyboard or other game device. For a capture of a subject simply it is necessary to approach to it and to sit down. Try and will not regret! Just finish the levels to save your princess Jasmine with the help from your friends (Abu and Genie). Collect apples to use as throwing weapons to defeat your enemies, and collect "genie icons" to give yourself more chances during the bonus rounds. Andor is one of Monty's Games for Windows. You have teleported into one of the Andorian planetoids.To escape you must find your way out of each room in the planets interior chamber. In each room you must grab a key and make it to the door, but you will have to solve a puzzle along the way. The player takes the role of Lester, a young physics professor who is transported to an alien world after a lightning strikes his particle accelerator during a unique experiment. After getting captured and escaping, he must try to fight his way home against wild creatures, natural hazards, and the local race of humanoid aliens. Find magic sword, which will help to destroy an sorceress named Castomira. Destroy all enemies. Follow the adventures of Rhen, a young girl who is drawn to an exotic land where she is forced into slavery. When it is discovered that she can use sword magic, she is sent to Shadwood Academy, where she grows strong in her powers, only to discover that she is tied to a great evil at the heart of a dark prophecy! Prince Ali finds the Gold Armlet, Prince Ali comes back to Oasis island to find the dock village overrun by soldiers, Ali defeats them and soon learns that he must battle some evil caped-person that holds the Silver Armlet for the fate of Oasis. it is your job to collect several magical yellow seeds that were taken from your anthill and buried deep in the ground. Head down under to join the next Big City Adventure! Search for thousands of cleverly hidden items around the amazing city of Sydney. Discover 75 fascinating and obscure facts about Sydney and its history, plus, earn 75 cool mementos from the 26 amazing locations you'll visit. With 74 rounds of exciting mini-games and 76 rounds of treasure hunting, Big City Adventure: Sydney, Australia is sure to be one of your favorite games of all time! What do you get when you combine three classic oldies, spice it up with original game elements and mix in studio quality sound effects and engaging graphics? You get Bomberman vs Digger, brand new entertaining, sometimes puzzling, sometimes overwhelming but always a thrilling game from DivoGames. Game Bubble Dizzi are adventures of the diver under water. It is necessary for you to rise on a surface on air bubbles which a bit later burst so it is necessary to jump from one on another. It is possible even to name it a kind of sports! Octopuses, sharks, jellyfishes and other animals will prevent you, besides it will be necessary to fill up stocks of oxygen. Game fascinating and interesting! Turn the pages of your very own story full of fairies, magic and adventure. Travel across lush meadows, climb a windswept mountain and journey deep into a dark forest. Use your fairies and your skill to create whimsical houses, mystical structures and amazing wonders for a variety of familiar storybook characters. Work quickly and strategically to buy and sell properties and make as much gold as possible. Can you construct a flying machine? Can you protect the town from fire-breathing dragons? Is that crown wearing frog really a prince? Find out in Build-a-lot Fairy Tales. 3D adventure, struggle with enemies and simply passing of mazes, use of available facilities and subjects. Captain Dynamo from codemasters is a cool plateform game! Adventures of the Captain Dynamo in vaults. Collect all jewelry, do not give itself to kill. You always thought that the Fair Folk were just a myth: Leprechauns aren't real, there's no gold at the end of the rainbow, and there's nothing inside those heather-covered hills but heaps of dirt. But when your brother vanishes into thin air on Samhain night, you start to have your doubts. All signs point to a magical realm contained deep within the hills themselves! Discover the hidden world of the Aos Sidhe in Celtic Lore: Sidhe Hills! Chaos Engine - good arcade game. It is necessary to you with the weapon in hands to pass set of levels, killing enemies. This is a fun platform game developed in by Hi-tech Expressions, starring adorable chipmunks Chip & Dales as they don the role of rescue rangers. Avoid the menacing dogs and traps along the way. Play as a newspaper journalist and investigate the small town of Tundel where a UFO is rumored to have landed. The local mayor seems to be trying to cover up the event and it's your job to track him down and learn the truth. The way to the mayor will challenge your courage, selflessness and wit. Overcome all the incredible obstacles, find the mayor and become a hero in this charming adventure game!Warning– City of Fools contains adult themes and is intended for mature audiences. Traditional platform game; collect as many points as possible and manage to get to the last level. Game DANGEROUS DAVE is similar to game Mario or SuperMario. Here too it will be necessary to you with a gun in hands to pass, battling to enemies, overcoming various obstacles, collecting cartridges and simply collecting points. You should jump on branches of trees to jump through precipices and many other things. Game simple, but fascinating and that who likes game Mario, this game should too it is pleasant! Silvertown was swallowed by fog and disappeared from the face of the earth 100 years ago. Search for a town consumed by fog! Unlock forbidden doors and uncover mysterious items in this thrilling Hidden Object Puzzle Adventure game! This is a special Collector's Edition release full of exclusive extras you wonвЂ™t find in the standard version. As a bonus, Collector's Edition purchases count toward three stamps on your Monthly Game Club Punch Card! 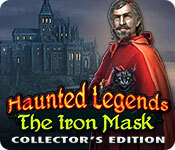 Challenge an evil presence in this chilling hidden object adventure and save your loved ones before it's too late! Legend spoke of an evil magician who possessed the secret of eternal life which required that he steal the souls of unsuspecting villagers. It seemed as if no mortal soul could stand against this dark power but, according to an ancient prophecy one day there would be someone brave enough to face it! The dark mage sent his Harpies to seize a fresh supply of souls. This time they took your parents! Can you save them in time? Play either the Road Runner OR Wile E. Coyote in this unique side-scroller that is just like an interactive Saturday morning cartoon. Your goal: run through six different desert environments before time expires, collecting ACME stamps. This game similars games like Mario, Giana Sisters and the other games, where you destroy the enemy not by weapon, but jumping on them overhand. In this game you also take the spectacles, eating bananas (simply brushing against their figure) and search for the different bonuses. You are Nick Nautilus, special Naval agent 1138. Explore the underwater caverns in searsh of Dr.Riptide's undersea lab. Re-enter the enchanted world of Drawn in the highly anticipated third installment of the cinematic series. Set in the years before the events of The Painted Tower and Dark Flight, Drawn: Trail of Shadows takes players on a magical Adventure through the distant past! Become a part of the story by following clues scattered throughout paintings to save a boy with the power to create painted worlds in Drawn: Trail of Shadows!This is a special Collector's Edition release full of exclusive extras you won’t find in the standard version. Game Dyna Blaster known in due time. Here you will need to blow up stone walls dynamite in searches of the latent door on the following level and to avoid collision with moving monsters. Them it is necessary to destroy all dynamite. Do not blow up dynamite near a door as after that therefrom there are many quick creatures! Journey to a foreboding island as you go on the hunt for a murderer in Elixir of Immortality, a fun Adventure game! Gather evidence and track down the criminal before they strike again! Discover ancient secrets as you explore the mysterious island, and find the legendary Elixir of Immortality that so many have tried to find! Do you dare drink the Elixir? Fatman's Adventures combine elements of logical game with arcade to create a unique blend that game-lovers will surely appreciate. You are to travel through 50 different levels in five locations to gather all crystals, while trying to avoid evil Fang Monsters. Sounds quite simple but it's quite difficult. The game features convenient start-center and capability for adding new levels. Excellent adventure game. This game is a adventure of the hero in the unknown planet. Ensemble of enemies and dangers do a play very interesting! When Jane was a child, she tragically lost her parents in an accident. It's now the early 20th century and Jane is a young woman trying to keep the past behind her. It's clearer than ever that her past will always be a part of her when she receives a letter from her guardian, Sir Charles Willmore, who lives in an ancient ancestral castle. Upon opening the envelope, she finds an empty sheet inside on which the message"You're next!" magically appears. Jane hurriedly gathers her belongings and heads to Sir Charles to ask for an explanation. Jane could never have anticipated what was waiting for her. Collect predetermined value of money and reach the exit. Exit will be showed, after You got needed money. In game process You have to solve some puzzles. In GENERATIONS LOST, you are Monobe, a man who knows nothing of his past or that of his people. In an epic journey of discovery, exploration, and self-realization, you must make your way through six sectors of the world, searching for answers and getting in some fighting along the way, too. In due time Giana Sisters there was very known game for a prefix of the Dandy. Game very much reminds game Mario. Here you too for a while should pass levels, collecting color stones to beat out a head in a jump points from luminous squares to press various moving enemies, to jump over obstacles, avoiding fire, precipices and sharp subjects. The majority of levels comes to an end a cave where it is necessary enter. Only has not had time to find, whether there are here as well as in analogue for the Dandy confidential luminous (invisible, it is simple for analogy has told) squares from which it is possible to beat out a head points and to jump on some levels forward. The New Batch from Elite is a decent platform game based on the hit Warner Brothers movie. It is a much better adaptation than its Hi-Tech counterpart, although the action still winds down towards the end to being somewhat tedious. After your sister vanishes on her wedding day no one has any idea what happened to her, so its up to you to find the truth! Some believe she drowned, but her body was never found. Return to the abandoned family mansion and search for clues in Grim Tales: The Bride. Explore your sisters memories to solve the mystery of her disappearance in this exciting Hidden Object Puzzle Adventure game! Save Witchville before it’s too late in Guardians of Beyond: Witchville, a thrilling Hidden Object Puzzle Adventure game! After all of the inhabitants suddenly become ghosts, you are brought in to investigate. Solve the mystery as quickly as you can or become a ghost yourself! Explore haunted locations, meet unexpected people, use dangerous witchcraft, and save the town!This is a special Collector's Edition release full of exclusive extras you won’t find in the standard version. Gumboy has some extraordinary characteristics! 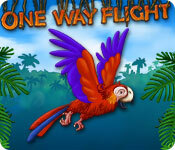 Try his rolling, bouncing, jumping, flying and floating fun as you follow him on some Crazy Adventures! Plus, Gumboy can change his size, shape and material - he can take the shape of a sphere, cube or star and can be filled with rubber, air or water! Explore the evil Dr. Blackmore’s latest experiment in a Haunted Halls: Fears from Childhood, a terrifying Hidden Object Puzzle Adventure game! After dragging Tim through a mysterious portal, Dr. Blackmore reveals his newest atrocity: a world that makes the fears of children a reality. Help the hapless victims confront their fears and return home. Track Dr. Blackmore to his lair and save the day in Haunted Halls: Fears from Childhood!This is a special Collector's Edition release full of exclusive extras you won’t find in the standard version. Eipix Entertainment presents another thrilling installment of the popular Hidden Expedition series!On your toes, Agent! Someone has just attacked the H.E.L.P. academy, breaking into the vault and making off with an ancient map. All signs point to an inside job, but who would be brazen– and foolish– enough to do such a thing? And what do they want with a map that’s tied to a Norse myth about the end of the world? Set out across the globe, from Budapest to Greenland, in this action-packed Hidden Object Puzzle Adventure game! Guide Dracula on a madcap quest to find out who's zombifying the masses through their cell phones! With dozens of thrilling levels, ghoulishly good visuals, and a hilarious family-friendly storyline, Incredible Dracula II: The Last Call– Collector's Edition will mesmerize players for hours on end. Will you answer the call to adventure? Eipix Entertainment proudly presents the next installment of the Hidden Expedition series!You’ve been called to China to help in the excavation of the ancient Emperor Qin’s final resting place. What starts as a simple mission quickly turns into the experience of a lifetime when your colleague’s lives are put in danger. Can you uncover the secrets of the Qin dynasty and save your friends before your time runs out? Find out in this astonishing hidden-object puzzle adventure! 4Friend Games proudly presents the next thrilling installment of the Immortal Love series! The joyous eve of your wedding is interrupted when your fiancé receives a mysterious black lotus and falls ill! While she rapidly ages, it's up to you to find the flower’s sender and save her before it's too late. Do you have what it takes to stop history from repeating itself and save an entire village? Game Indiana Jones - adventures a hero from of the same name film, struggle with enemies and ensemble of other difficulties. Search for a missing girl who holds the key to stopping a global epidemic in Infected: The Twin Vaccine! A new breed of virus has spread throughout the City of Oxford forcing the area to be quarantined. The first reported case of the virus was found in 6 year old twin sisters Tiffany& Theresa Morrisey. Tiffany never survived the infection but Theresa made a full recovery and is now believed to be the key to finding a cure. In the chaos of a city-wide evacuation, Theresa has gone missing. You must travel back to the abandoned city of Oxford to find her before the virus spreads globally. Though be wary...you’re not the only one back in town.This is a special Collector's Edition release full of exclusive extras you won’t find in the standard version. Jetpack is an old type of toys which purpose consists passing on floors and ladders to collect all Christmas gifts (you play for the Santa), thus not coming across moving enemies. Game all time will become complicated. In this game too there is an editor of levels and you can draw them! Kenny's Adventure comes to life as a young boy sets out on an underwater journey to search for an old family relic. It was stolen a long time ago by pirates and now its pieces rest in different parts of the world. Join Kenny and explore 60 levels in 3 diverse worlds full of evil ocean creatures, surprises and endless fun. Journey to a land of royalty and adventure in Kingdom Chronicles Collector's Edition! John Brave finds his homeland captured by a greedy villain and only he is courageous enough to fight and save the kingdom from total plunder. Build, trade, research and battle for your kingdom! Workers, clerks and warriors will help you on your quest to restore the towns and villages, solve mysteries, defeat the enemies and restore order. Rescue the princess, defeat the villain, and save your homeland in this fun and exciting strategy game!This is a special Collector's Edition release full of exclusive extras you won’t find in the standard version. Game Magic Pockets - a merry nursery game of type Mario, where you play for funny child, collecting on the road of sweetness and fighting with enemies by means of got from the pocket of subjects. For each murdered enemy you are given spectacles and new sweetnesses. Game Master 2 - 2-dimetnional adventure, where you, controlling tank will pass different on difficulties levels, shooting in enemies or avoiding them. Mine Trap - interesting and original game where you should struggle with jellyfishes creations, throwing off them downwards. You in hands will have hammer which you can destroy floors of floors and simultaneously you can restore them. At each level you should destroy all jellyfishes. For this purpose it is necessary to break ground a floor and when the jellyfish will try to restore it, it will be necessary to dump her downwards. At the following levels to you there will be jellyfishes which should be dumped already through 2 levels. I advise to try - game fascinating! In due time game Boulder Dash was very popular. And game MrMatt very much on her is similar. Here on a game field it is necessary to eat all apples and that the stone has not fallen down a head. Under a stone it is possible to stand, but if you will try to be set downwards it will crush you. When the stone falls from above on a stone top it is rolled sideways. Look, that stones have not filled up to you an exit as you can not continue game and it is necessary to begin anew. After all apples on a field will be eaten, you pass to the following level. Try, very interestingly and to think too it is necessary! Take on the role of a junior archeologist traveling though Egypt, trying to bring thieves to justice! Three ancient artifacts have gone missing and only you can track down the culprits and recover the precious antiquities for the Alexandria Museum. Do you have the sleuthing skills to find the hidden clues the thieves left behind, piece together what happened, and return the lost treasure? You lived through their side of the story—now live through his!Return once more to the haunted grounds of Ravenhearst Manor to uncover new details about this poignant saga. What you find could very well be the final chapter of this riveting story—if you escape.This is an intensepsychological thriller that may reveal deep-seated fears. Not for the young orfaint of heart. Consider yourself warned.Please note: This is the biggest and most intense offering from the Big Fish Games Studios to date. Your vacation through many of London's historic locations turns into an investigation into one of the most notorious mysteries ever! Explore the city through 360-degree photographs of places such as Buckingham Palace, Westminster Abbey...even the tailor shop where James Bond buys his shirts! Gather clues and challenge the locals in an attempt to succeed where so many others before you have failed - uncovering the identity of Jack the Ripper! Once upon a time, deep within the heart of a kingdom, a charming prince was cursed by a scorned enchantress. Entangled within her wicked spell, he lay dying until a fair maidens love revealed the beauty within the beast. However, their happily ever after was not destined to last. Journey across magical lands, seek the help of fantastical friends, and overcome all obstacles to find the beauty within the beast in Mystery Legends: Beauty and the Beast! This is a special Collector's Edition release full of exclusive extras you wont find in the standard version. Game Nicky Boom is very similar to game Mario or SuperMario. Here you too finish with enemies, jumping on them from above and receiving for it points. In game simply it is necessary to pass all way, jumping through obstacles and not giving enemies to regale on you! In due time similar game was almost at top of popularity! And not for nothing, you see and now in her it is possible to play with the great pleasure! Good luck and pleasant game! NITEMARE-3D - (Episode 1) A House of Horrors. 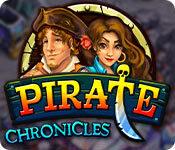 A captivating 3-D perspective graphics adventure. As Hugo, enter the house of the evil Dr. Hamerstein in search of Penelope and a mystical mirror which leads to the "other side". From DAVID P. GRAY, author of the HUGO trilogy. Tik-Ling is trying to make it home to her Bamboo Forest, but the evil Zoo Keepers keep trying to capture her. Your job is to help her escape! Quick reflexes, creative thinking, and a sharp wit are essential to navigating the pitfalls and perils in this addictive game! Play through more than 150 imaginative levels, or create some of your own! There are hours of non-stop fun with a challenge for everyone! Try Panda Craze today! Pharaohs' Curse Gold is a platform game mixed with cool puzzles, in fact, the main focus is on the puzzle elements. In this game you can use drills, hammers, picks and shovels to break the tiles that guard the gold. When you collect all the gold in a given level, the exit door unlocks and you can go to the next level. Game Prehistorik too reminds game Mario (Super Mario). In game you operate the neanderthal man who goes in searches of food, battles to various animals. Game is amusing and interesting. I advise to try! This game is continuation of the game Prehistorik. In the game you operate the neanderthal man, which one goes in quest of food, combats with different animal. You are the only obstacle between Jaffar and the throne. An adventurer from a foreign land, innocent of palace intrigues, you have won the heart of the Sultan's lovely young daughter. And in so doing, you have unwittingly made a powerful enemy. Help Matthew Hunter break a curse in Relics: Dark Hours! The terrifying curse has already taken his family and he’s next… unless he’s able to track down the ancient artifacts. Help him explore a haunted High School and find the Relics that are now scattered, after his father sold them. Interact with the dead to get helpful hints and clues in this incredible Adventure game. Save Matthew Hunter’s life in Relics: Dark Hours! After a terrible traffic accident Amy Walters finds herself trapped in Resurrection, New Mexico! Now she must work with lost souls to escape the dark and mysterious world that seems to have a mind and a will of its own in this exciting Hidden Object Puzzle Adventure game. Can you reach the“other side” in time to live again and reunite with your daughter? Find out as you attempt to escape from Resurrection, New Mexico!This is a special Collector's Edition release full of exclusive extras you won’t find in the standard version. Game Risky Wood - a journey a hero on the wood, mountains and valleys associate with the constant struggle with enemies. It is 2D adventures. Caesar, the governor of Rome, has been poisoned, and there's no potion strong enough in the world of mortals that can cure him of his terrible disease. Caesar's daughter Julia is in despair and Victorius, an honorable general, sets out on a long journey to the kingdom of the Gods. The lands of barbarians are full of dangers, so be careful! Help Victorius find the magic potion that will save Caesar's life in Roads to Rome 2! You have been summoned to save the alpine village of Martlet in Royal Detective: Lord of Statues. Martlet has been taken over by statues! What made these statues come alive, and how can you stop them from destroying Martlet? The answer lays in the story of Princess, a young girl who was left on the statue maker’s doorstep at birth. Find out who enchanted the statues and why in this charming game set in a small European town.This is a special Collector's Edition release full of exclusive extras you won’t find in the standard version. As a bonus, Collector's Edition purchases count toward three stamps on your Monthly Game Club Punch Card! Game Runner simple, but interesting. In game you operate the person who should run on floors and ladders, lighting green lanterns instead of red (simply concerning them) and to run out at appeared door. Other person who will change lanterns back and if you will face you should begin all over again a level him will prevent you. In game at you there will leave energy, but it can be selected. In game it is necessary to be guided quickly but as coordination of movement develops! This title was chosen for its high standard of quality and amazingly positive reviews from our Game Club beta testers.Daily Magic Productions invites you to wander down another twisted path in the latest installment of the Sable Maze series!After years of speculation, the McCordan Library has finally been found! Rumor has it that this labyrinthine library was built to house five legendary tomes, but a series of puzzles and traps guards them. You’ve been called in to overcome these tricky obstacles and track down the tomes, but you quickly realize why he hid them in the first place... The power they contain could destroy the entire world if they fall into the wrong hands! Navigate the treacherous maze as books come alive around you in this exciting hidden-object puzzle adventure game! Save your friend from the Demon of Darkness in Secrets of the Dark: Eclipse Mountain! Follow clues left by stone monks in a deserted town in Thailand to uncover a thrilling mystery. Battle the dark and magical werecreatures that want to sacrifice your friend in this macabre hidden object puzzle adventure game!This is a special Collector's Edition release full of exclusive extras you won’t find in the standard version. As a bonus, Collector's Edition purchases count toward three stamps on your Monthly Game Club Punch Card! The Heart of the Earth has been stolen by dangerous barbarians! Train in ancient magic and go on a dangerous journey to get it back from the thieves. Travel through dangerous environments hot on the trail of the barbarians. Teach the pupils and help them fulfill their destiny and save the Heart of the Earth in Shamanville Earth, a fun Action & Arcade game. You, the player, control a slightly customized Swedish patrol boat, P 215. This ship is equipped with a depth charge thrower both at the bow and stern. With only a few depth charges as your weapons, you sail off to the 50 action stuffed levels, where submarines and other enemies will be waiting for you. This is yet another brilliant example of an arcade game, where the main task is to win all of the monsters. Practically no violence included, however. Your character is a cute white bear, the environment is soothing and even the monsters themselves are funny! Adventures of the hero inside a spacecraft. Fantastic game about the unknown star worlds, an opportunity of trade. Game is similar on Metal Mutant. This is Supaplex game. The purpose of game is to leave from a labyrinth. You operate a ball eating microcircuits. At the end of a labyrinth you will see letter E-exit. As Super Granny enjoys a relaxing picnic with her furry companions, one of her precious kitties wanders off and tumbles into a nearby hole. While trying to rescue her feline friend, she stumbles and follows her kitty into the seemingly never-ending pit. Now, in order to get back home, she'll need to travel through a dangerous lost world inhabited by exotic creatures and rescue her lost kitty! This is a final version of wellknown computer game Mario. For those who did not play this game, I advise to try! Superstar Chefs is a platform game similar to Mario Brothers or Bubble Bobble. The goal is to grab all the fruit, while avoiding the comical baddies. Features include hand-drawn graphics, 2 player simultaneous action, and an original digital soundtrack. And it is very ridiculous game and refers to rather ridiculously - Reorganization. A scene of action - a bog! A character - the democrat. Actually the politics in game absolutely is not present. You play for a frog to which should get over on marsh sheets which appear in different places, decrease and disappear up to a lily, that is up to the end of a level. The most ridiculous, that if the leaf absolutely will disappear or you jump simply in a bog the frog will sink. You can collect various prizes, including additional lifes. The bureaucrat (too the marsh inhabitant) will prevent you travelling on open spaces of a bog!. To face with him I do not recommend! Game unusual and cheerful and to esteem the description of game - a superfluous occasion for a smile! Among its renowned landmarks and hidden gems waiting to be discovered, Paris holds something new for each of its visitors. Scour some of the world's most famous locations for souvenirs as you prepare to be interviewed for an upcoming article in Travelogue 360 magazine! Locate items hidden in 3-Dimensional views of the Eiffel Tower, down the Champs Elysees, under the Arc d'Triomphe, and other Parisian landmarks! There are 22 eye-catching locales in all as well as fun facts and mini-games galore! Eipix Entertainment presents an exciting new series in Vermillion Watch: Moorgate Accord!What starts as an ordinary meeting with your uncle and his friend quickly takes a dark turn when a massive creature of unknown origin attacks! Delve into your family history to uncover a secret accord between the forces of good and evil. Can you stop the monster terrorizing the streets of London before it's too late, or will you be its next victim? Find out in this gripping hidden-object puzzle adventure! From Elefun Games comes another spellbinding installment in the popular Witches’ Legacy series!Your girlfriend, Anabel, has just been kidnapped and dragged into a magical realm by the ruthless ice twins. She is the only one who can help them restore power to the dark witches and bring about the downfall of the human world. Will you let this happen? Of course not! Set out on a fantastic adventure to save everything you love from being destroyed in this hidden-object puzzle adventure game! This is a freeware PC DOS game highly *inspired* by the horizontal scrolling arcade classic known as "Scramble". It is not intended to be an exact copy of Scramble. For instance, you will not gain anything by shooting the fuel tanks, instead you must pick them up by touching them with your space ship.